While you don’t need to wait for the New Year to establish resolutions for yourself, January normally ushers in a wave of motivation and a “go get ‘em” attitude for many. Whether you’re planning to tackle a big project at work for a promotion, build a healthier habit of physical activity a few times per week, or resolving to be more active in your community, many of these activities cause life to become a bit busier. Yet, that shouldn’t mean that nutrition and healthy fueling go by the wayside! So, to help you ensure that good nutrition is still a part of your efforts to create and conquer a new goal, we’re sharing some tips for reliable fuel to eat when life gets a little hurried. It’s oftentimes cited as the meal most difficult to squeeze into a busy morning, but the benefits of breakfast are many! 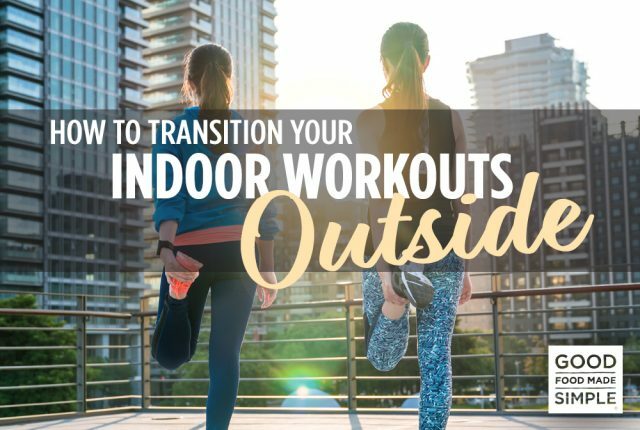 With a little pre-planning you can be out the door quickly, but with a properly nourished body. Overnight Oats: an excellent gab-and-go option that can be made the night before for a day of mobile fuel. Oats provide soluble fiber to fill you up and sustain your energy levels throughout those important early morning meetings. Get creative with the toppings- add some nuts for protein, fresh fruit for essential vitamins and minerals, and something fun, like shredded coconut! Breakfast Burritos: a one-handed way to spice up your morning. Eggs are amazingly versatile and can be cooked in a microwave to save major time. While the eggs are being cooked, simply layer a tortilla with some pre-chopped pico de gallo and a slice of cheese, then spoon on the eggs, wrap, and go! Or if even more strapped for time, microwave a Sriracha Scramble while you’re packing your bags for the office. Frozen to Hot Oatmeal: if bringing your breakfast from home isn’t an option, is there a way you can fit it in at work? If your office has a freezer, the Organic Unsweetened Steel Cut Oatmeal can be reheated at work in a mere 3 minutes. With a jar of nut butter at your desk to add a spoonful of plant-protein, this breakfast practically makes itself. 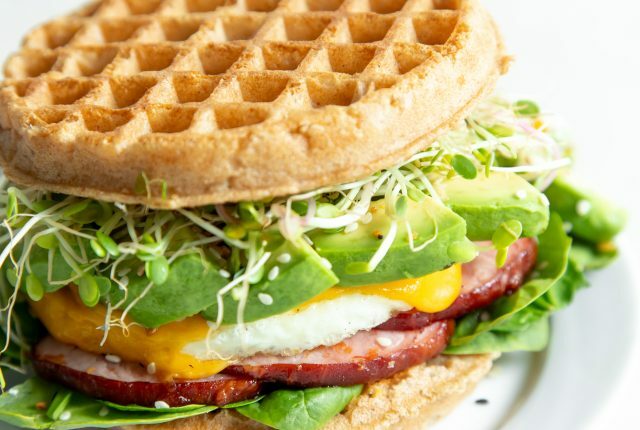 Lunch is one of those meals that is either the biggest meal of a person’s day or it can get skipped all together; however, one that’s too large can leave you feeling sluggish, whereas not eating anything could turn you into a ravenous fridge-raider later that night. Try finding a balance with these easy lunch options that can fit in between the day’s tasks. Snack Plate: toss some odds and ends into a lunch box and call it a midday meal. A few snack items from each food group can make up a nutritious lunch in no time at all. Try whole grain crackers, some slices of cheese, a piece of fruit, and an easy vegetable like baby carrots or pre-sliced bell pepper strips. Dinner Again: stash some food from last night’s dinner in a container for your next day’s lunch. The mindset of “cook once, eat twice” is ideal for when on a time crunch. These leftovers could be anything from a soup that needs to be quickly reheated at work, to a salad of left over roasted veggies, quinoa, and chickpeas that can be eaten cold in between juggling kids and activities. 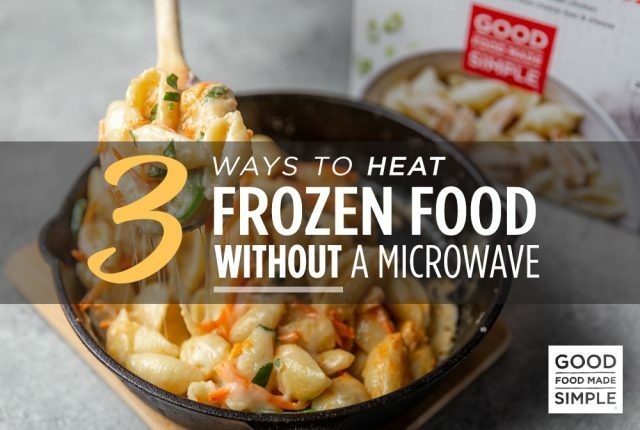 Heated Up Healthy: when you don’t have time to pack lunch, but would prefer to not turn to fast food, grab a healthy frozen option that only takes minutes in a microwave. A Chicken Black Bean Bowl could be your answer to good nutrition in a hurry! The end of the day undoubtedly brings more chaos- wrapping up work, picking up kids, and walking the dog- so dinner needs to be fast and painless. To make that happen, let others do the work for you! Sheet Pan Meals: grab a large sheet pan and let your oven do the rest of the work. Toss your favorite vegetables in olive oil, lay them alongside some seasoned chicken breasts, and bake for 20-30 minutes. While it’s cooking, go help your kids with homework, and come back to a fully cooked, fuss-free dinner. Slow Cooker: dinner could be ready and waiting for you with the help of a crock-pot. Dump in the ingredients for your favorite soup or chili in the morning, let it simmer all day, and walk into dinner already taken care of. Halfway to Dinner: pick up something like a rotisserie chicken or pre-cooked salmon filets from the deli counter to get half of the dinner figured out. Using a pre-cooked protein saves time and let’s you focus on other, equally easy, dinner tasks such as putting together a green salad and cooking up brown rice. Let’s say all of your planning for quick and easy meals didn’t go, well, to plan. 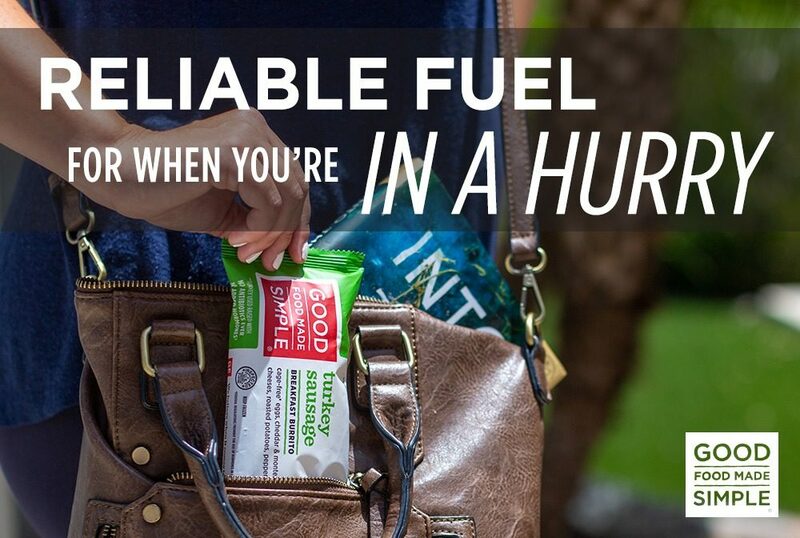 Snacks on the go can be an answer to reliable fuel if chosen wisely. Energy Bites: making up a batch of portable energy bites over the weekend could save you on a particularly busy day. Typically made with dates, nuts, and extras like hemp seeds, coconut flakes, or chocolate chips, these bites can be calorie dense and packed with healthy fats and protein to satisfy a midday hunger pang. Roasted Chickpeas: a portable option that’s plant based. Protein snacks are great to sustain hunger and energy levels, but so many are perishable (think cheese, yogurt, cottage cheese). Roasted chickpea snacks are now sold pre-packaged, are a great crunchy snack option, and come in a variety of exciting flavors.